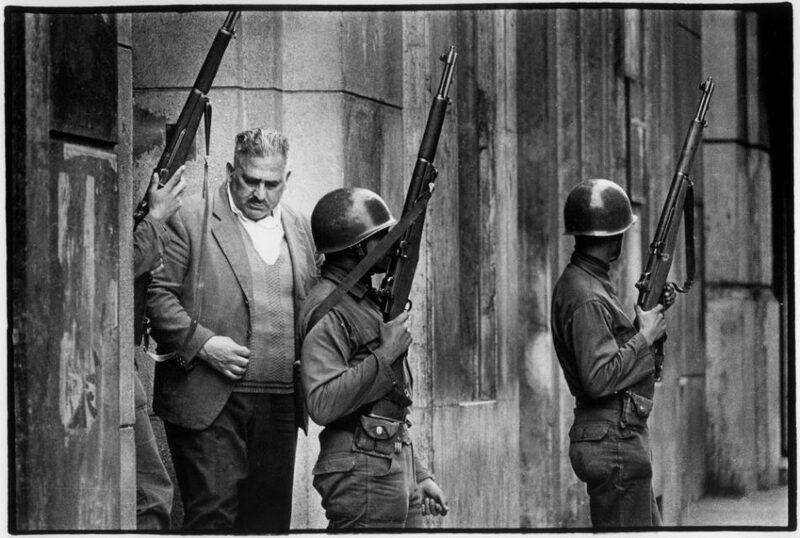 Koen Wessing’s Indelible Images is a multi-platform project that shows Wessing’s coverage of the 1973 military coup in Chile and more of his Latin American work from the 1970s. The project is a collaboration between Dutch photographer Wessing, filmmaker Kees Hin, curator/designer Jeroen de Vries and Paradox. 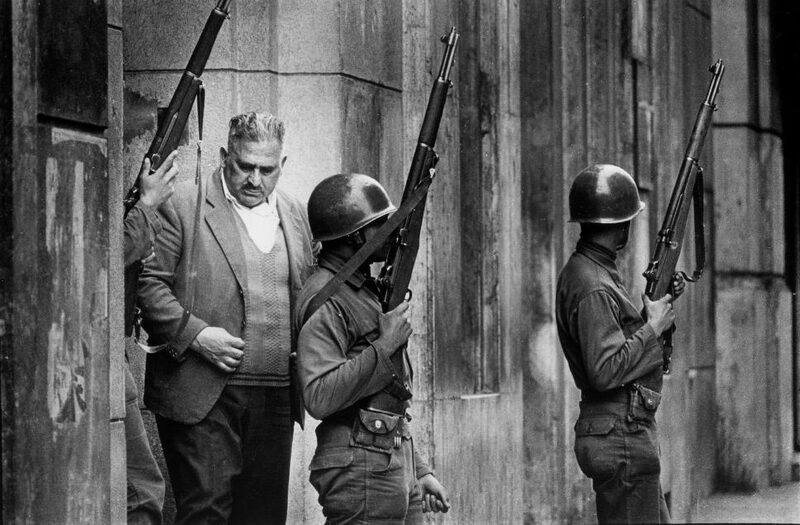 Koen Wessing, a legend in the history of Dutch documentary, was one of the few photographers who documented the 1973 military coup in Chile against Salvador Allende’s progressive government. 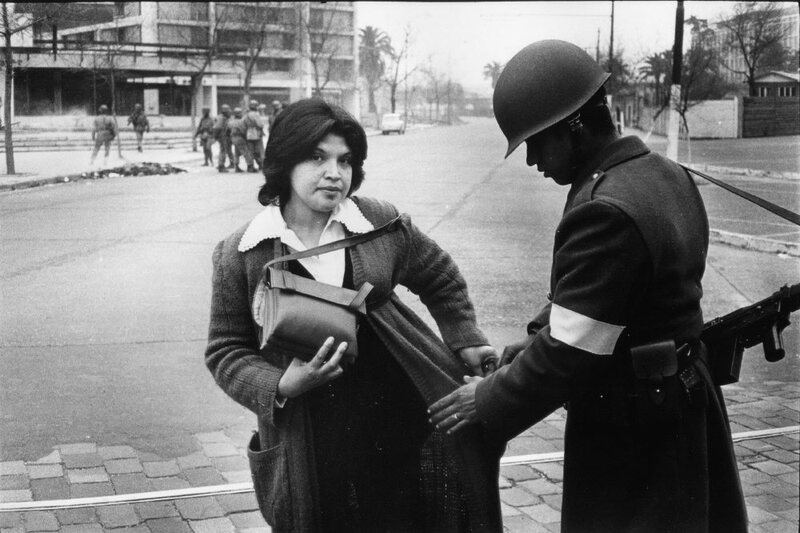 The Chilean images were published in his famous photo book Chili, September 1973, but they had never before been shown in Chile as a result of the repression following the coup. As an outsider and socially engaged photographer, Wessing increasingly felt the responsibility to show his 1973 work in Chile. After the military coup in Chile Wessing paid a first visit to Nicaragua in 1978, to photograph the family of Somoza whose regime started to crumble at the time. 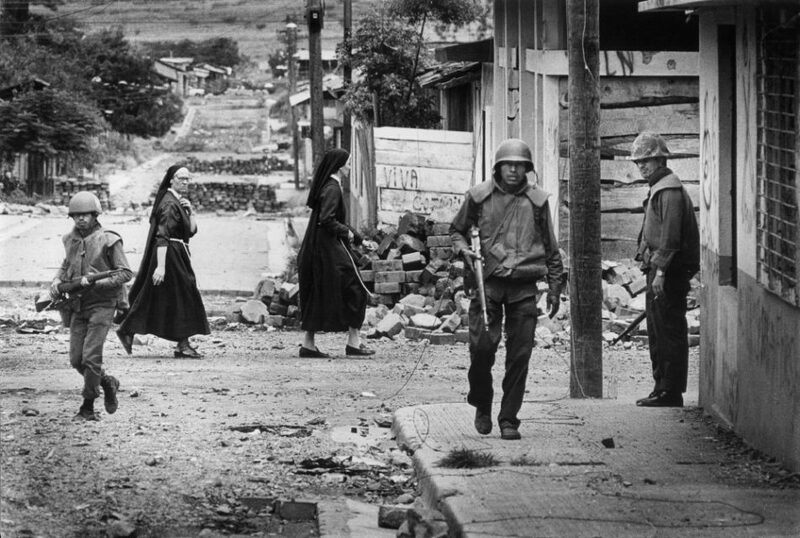 Afterwards he went back to Nicaragua several times, picturing its change and devastation. The photographs from El Salvador show the horrific events during the funeral of archbishop Oscar Romero. Tens of thousands of mourners who had gathered for Romero’s funeral mass in front of the cathedral in San Salvador eventually fleeing in terror as army gunners on the rooftops around the square opened fire. The complete photo selection forms a coherent whole, depicting Latin America from a period of about 12 years. In 2011, Wessings wish came true. 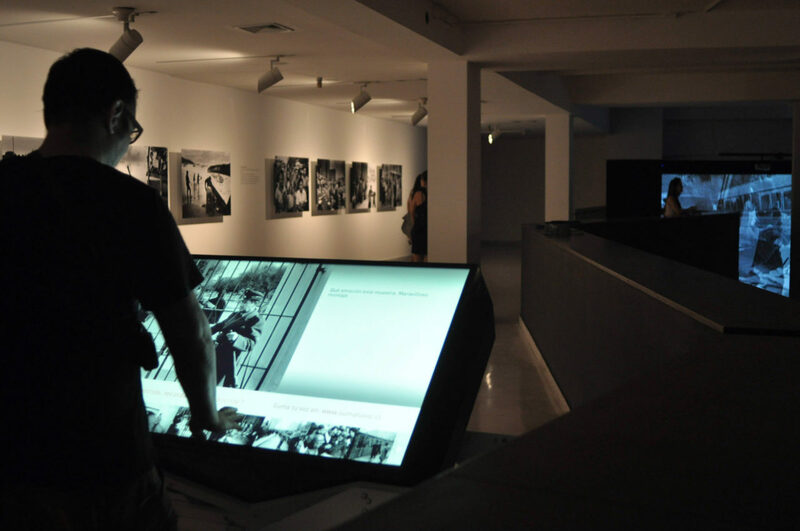 Recent developments, such as the first ever inquiry into the death of socialist president Salvador Allende, made exhibiting his work to the Chilean public seem all the more relevant. 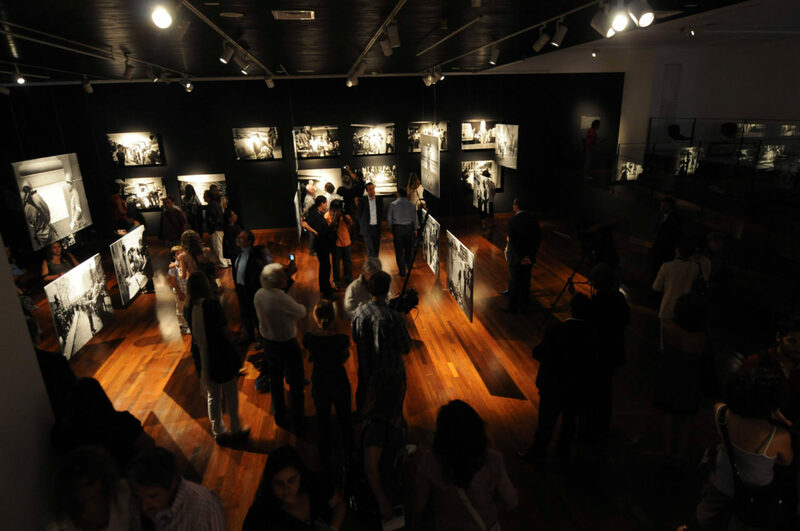 The exhibition at the Centro Gabriela Mistral (GAM) in Santiago opened at March 8 and was shown until April 30 2011. 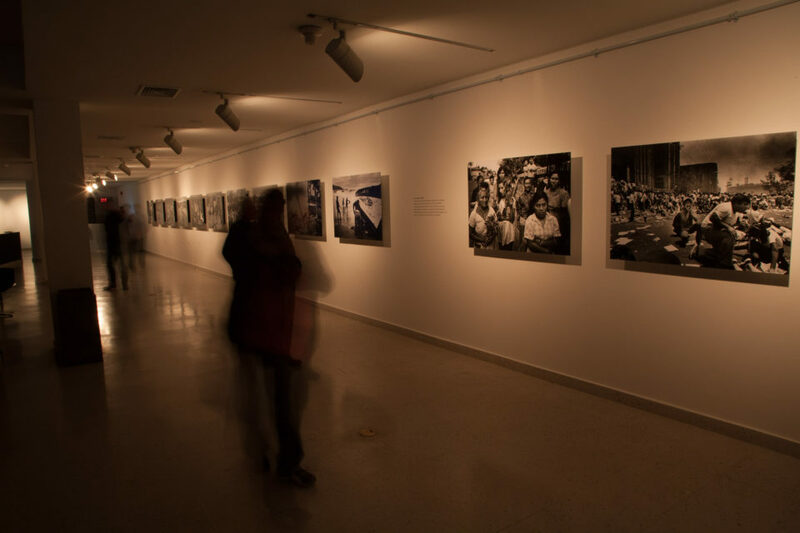 Besides, Wessing donated a selection of his photographs from 1973 to the archive of the Universidad Diego Portales for scientific and educational purposes. 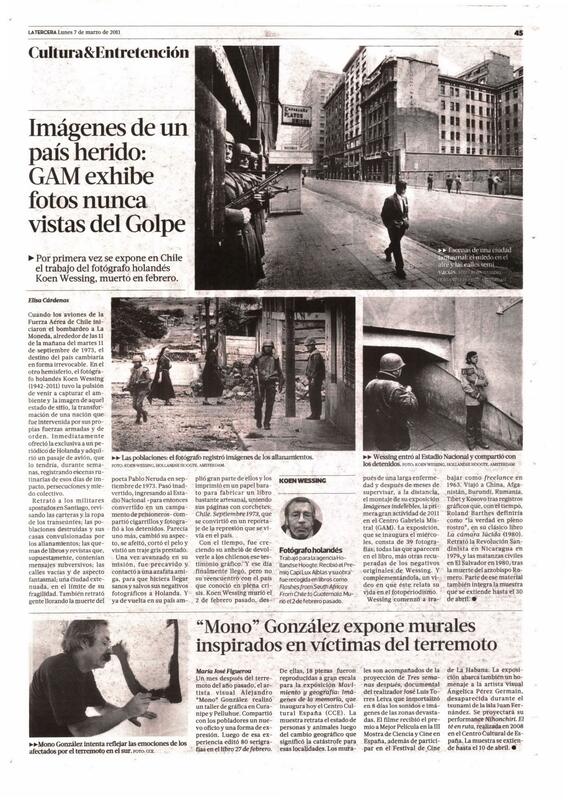 GAM was a former cultural center during the Allende administration that was occupied by the troops after the military coup and used as headquarters for the military regime. In September 2010 the cultural center was reopened as high profile location in the center of Santiago with the agenda of featuring a broad range of cultural events covering all arts from dance performances, to music, theater and exhibitions. Regrettably, Koen Wessing was never able to see the finished exhibition as he passed away in Amsterdam on 2 February 2011. Until the last moment he had been involved in the preparation of the exhibition. Knowing that the show was going to happen gave him a lot of strength during the last period of his life. 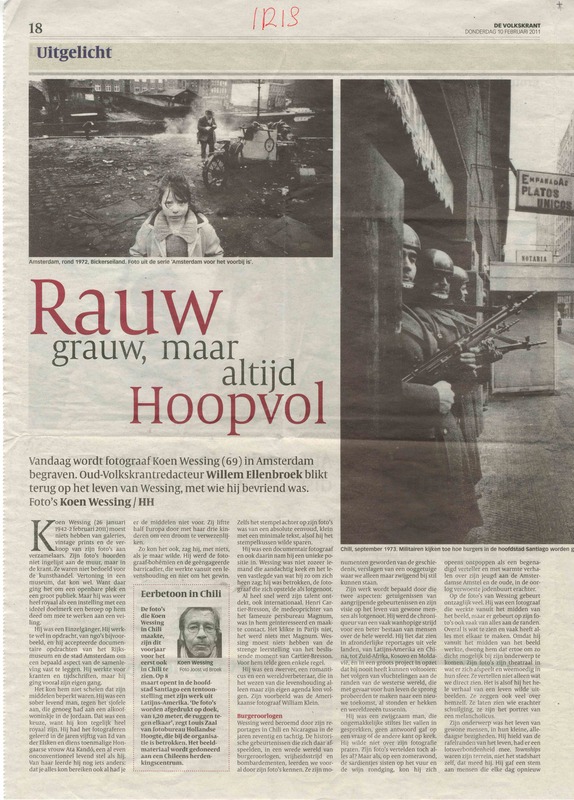 Koen Wessing (1942-2011) was and remains on of the Netherlands most important icons photo journalism. 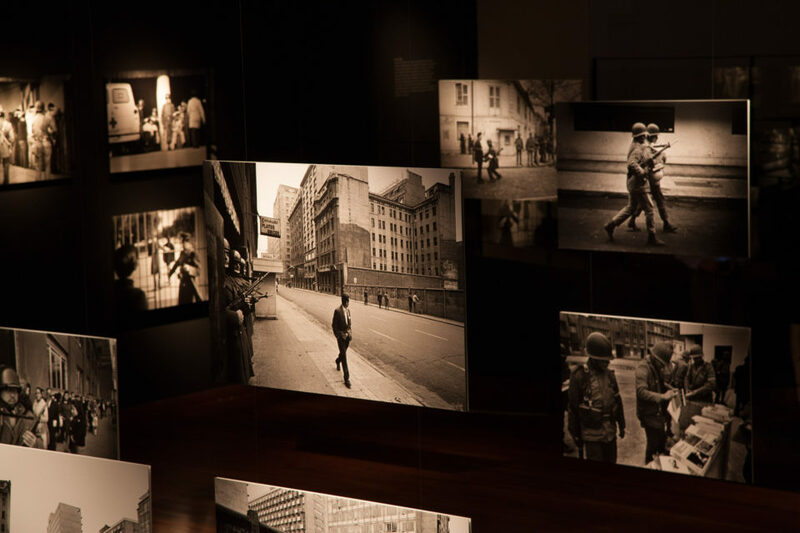 Wessing started as freelance photographer in 1963. In his early years he became renowned for picturing the May protest of 1968 in Paris, the occupation of the Maagdenhuis of the University in Amsterdam in 1969, and later the military coup in Chili in 1973. 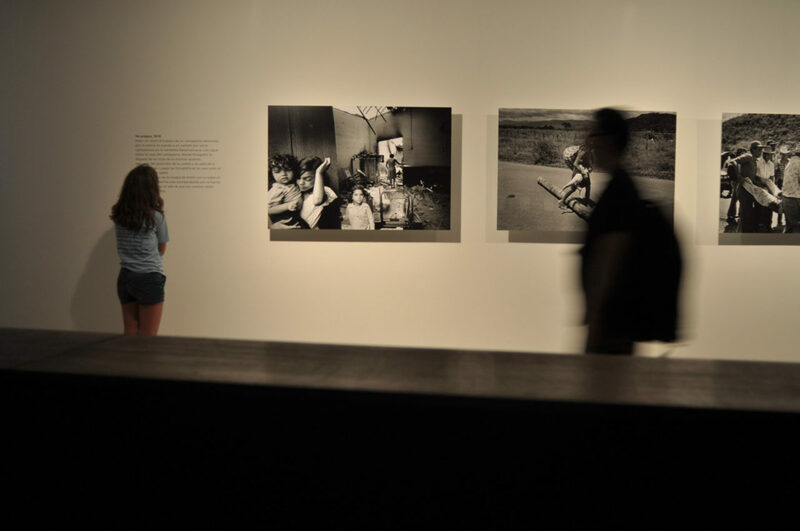 Later Wessing produced more uniquely powerful work in Ireland, Guinea-Bissau in West Africa, Nicaragua, El Salvador, China and Kosovo. Seen retrospectively, his work from South America probably received the most attention throughout the years. 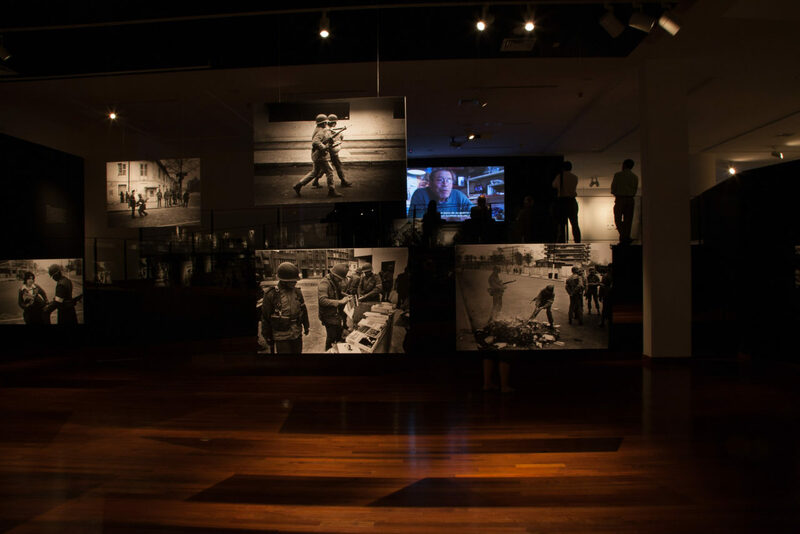 His images of the 1973 coup in Chile against the progressive government of Salvador Allende, as well the insurrection in Nicaragua and his reportage of the massacre during the funeral of Archbishop Romero in El Salvador, were all striking and alarming. 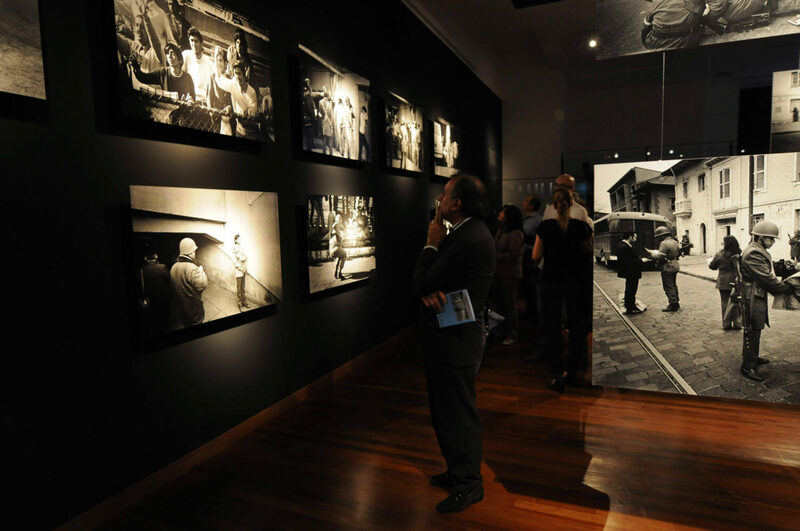 His engaged work in these countries made him an internationally renowned photographer. Regrettably, Koen Wessing was never able to see the finished exhibition as he passed away in Amsterdam in the morning of February 2, 2011. 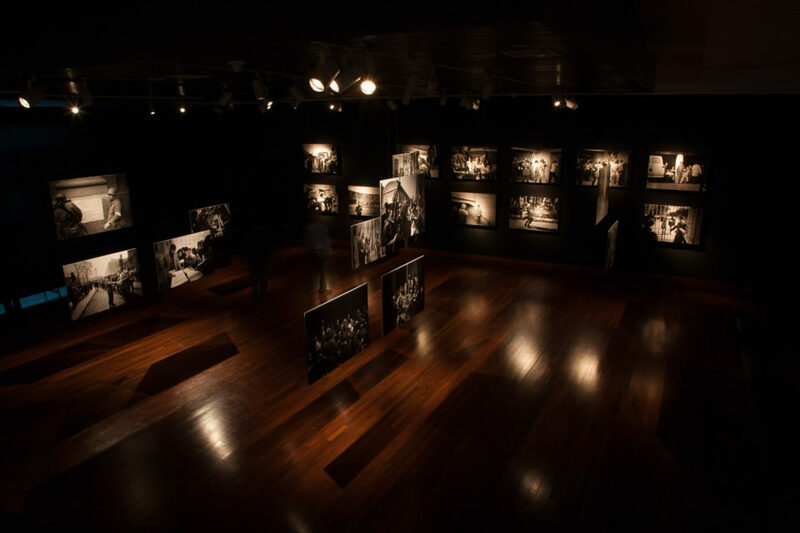 Until the last moment he had been involved in the preparation of the exhibition. Knowing that the show was going to happen gave him a lot of strength during the last period of his life. 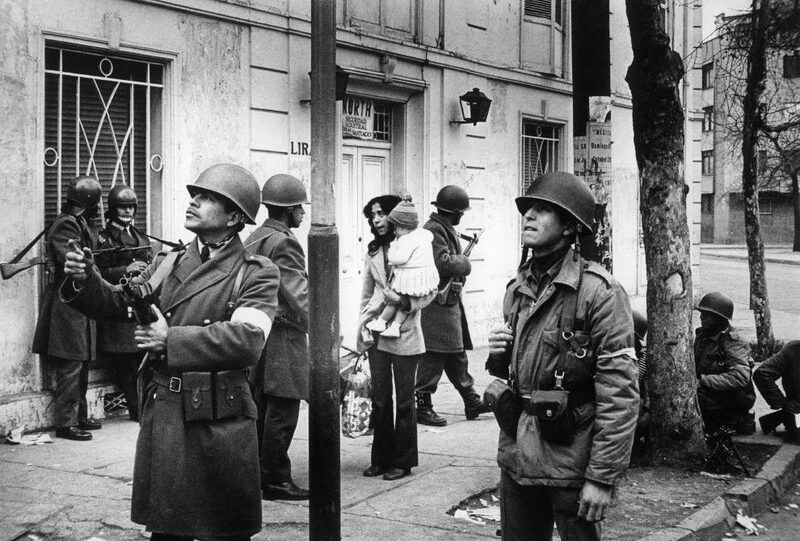 Chili, Santiago, september 1973. 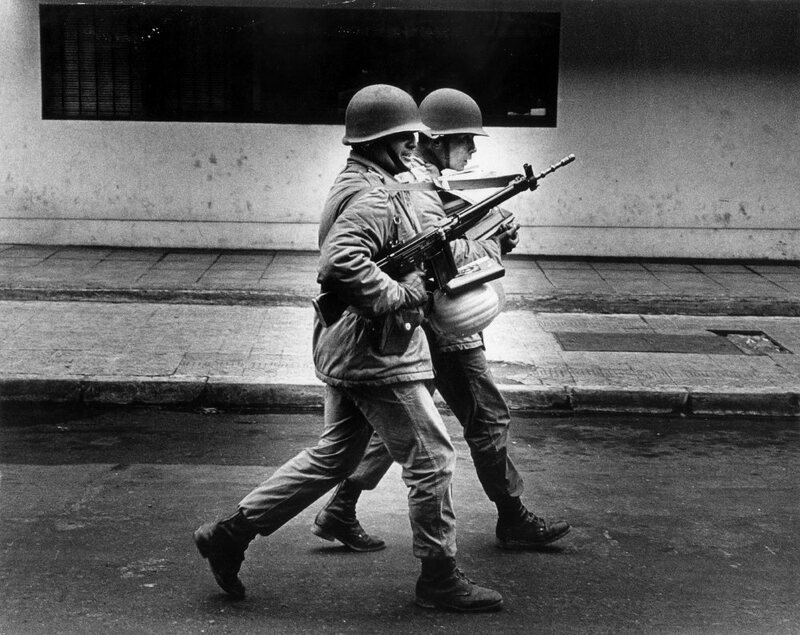 Soldiers are patrolling the streets of Santiago. Chili, Santiago, september 1973. Several days after the military coup. People gather at the sheds where friends and family members are being held, trying to get some information. Chili, Santiago, september 1973. Several days after the military coup. Mother and her child amongst soldiers on the street. Chili, Santiago, september 1973. Several days after the military coup. Soldiers are carrying books and papers to be burned later on. Chili, Santiago, september 1973. Soldiers are patrolling and searching people on the streets of Santiago. 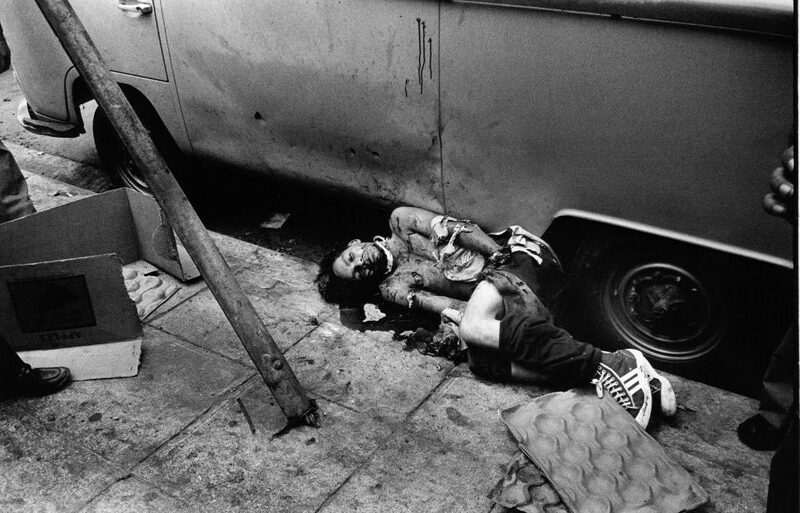 Chili, Santiago, september 1973. 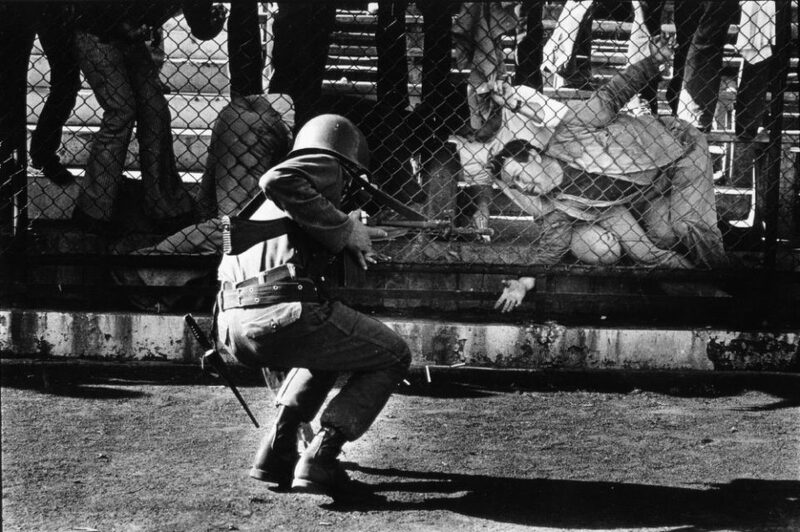 Soldiers at the football stadion where prisoners are being held. Chili, Santiago september 1973. 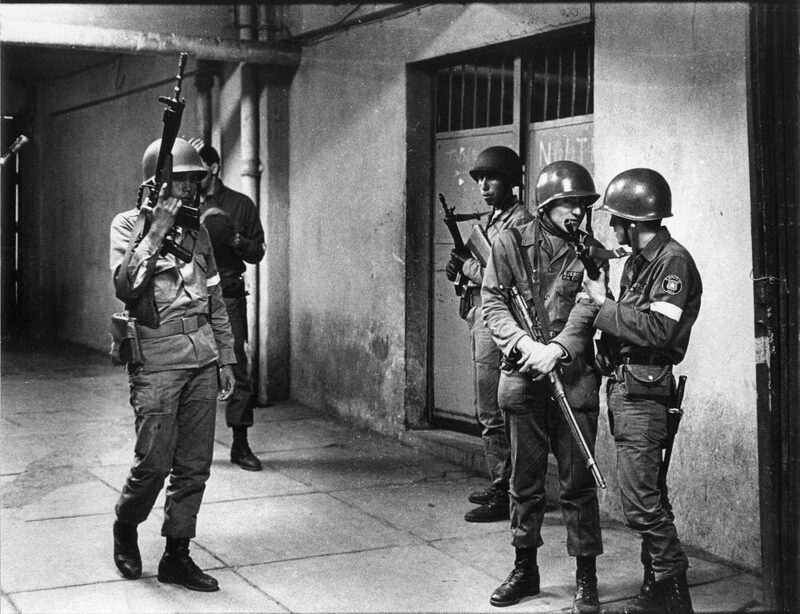 A woman is being searched on the street during the military coup. Chili, Santiago, september 1973. People are being forced to remove revolutionary slogans from buildings while militaries are watching. 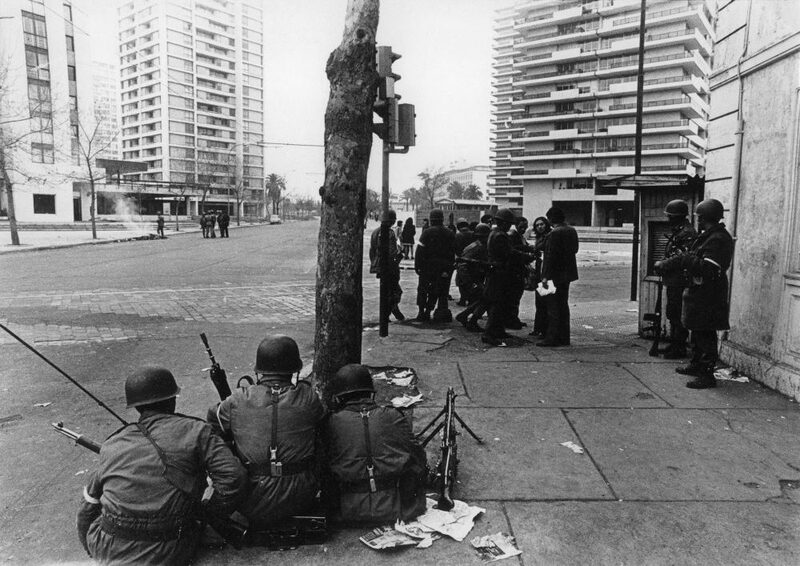 Chili, Santiago, september 1973. 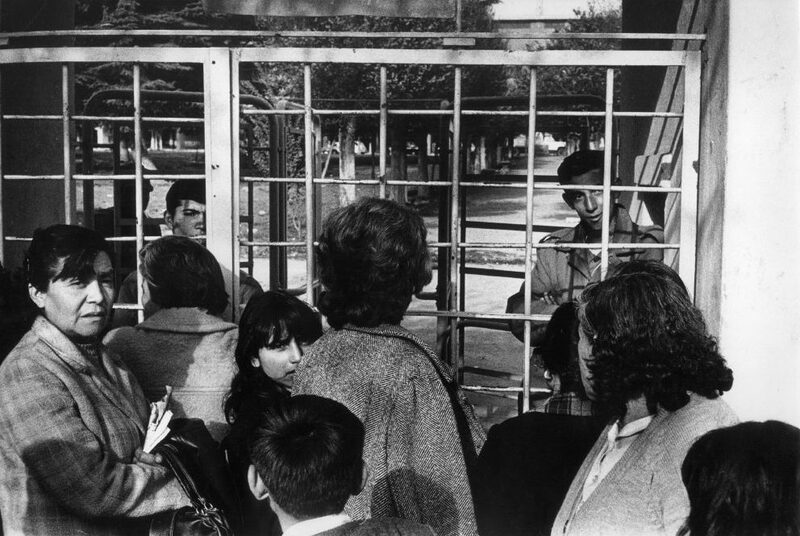 At the stadion of Santiago people are being imprisoned. 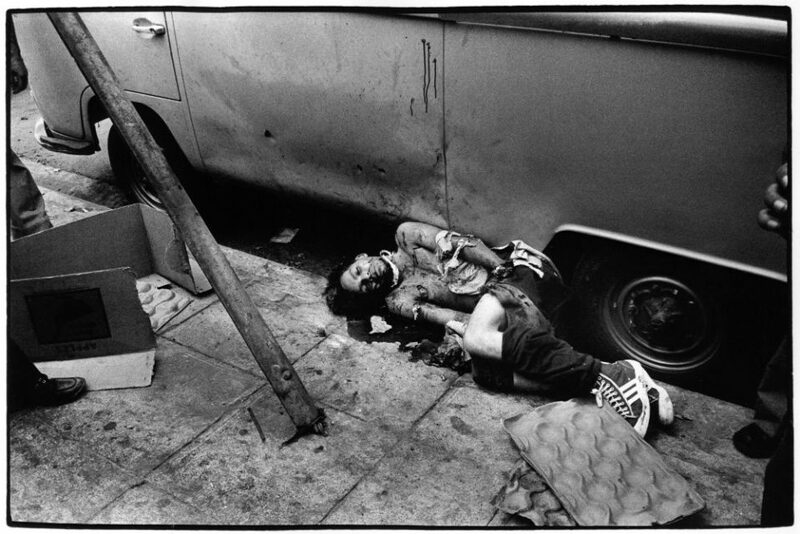 Chili, Santiago, september 1973. Several days after the military coup. 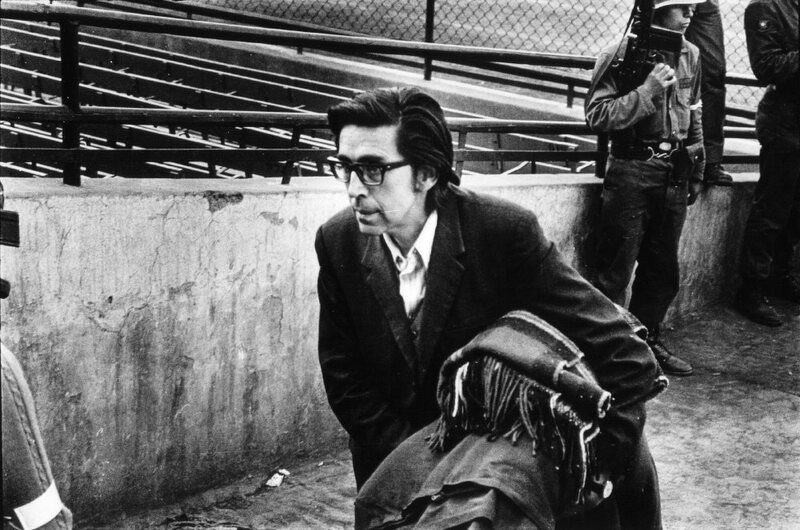 Arrested man (most likely a teacher from university), enters the football stadion where many people were kept as prisoners. El Salvador, 30-03-1980. 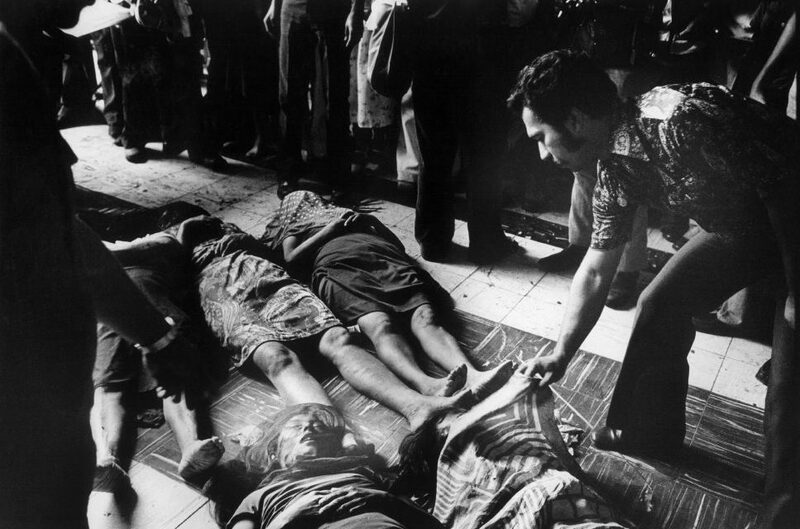 Victims of the blood bad during the funeral of the assassinated archbishop Romero. El Salvador, San Salvador, 1980. 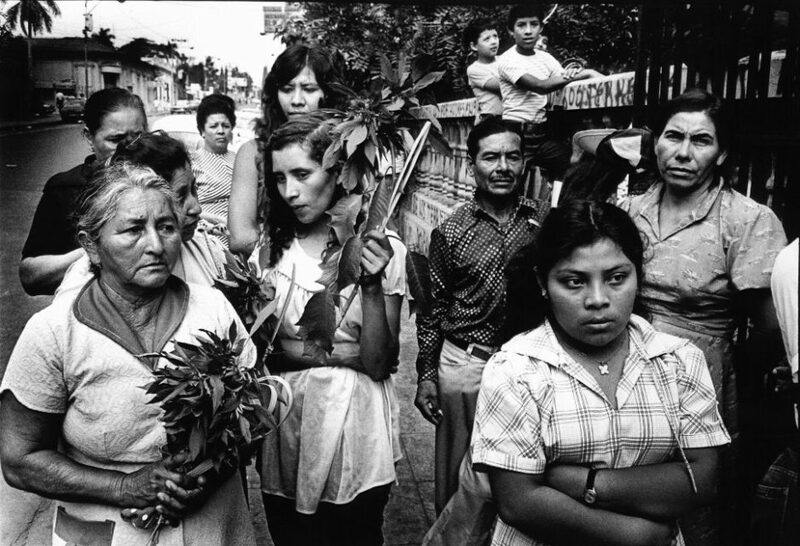 A group of woman attends the funeral of archbishop Romero. 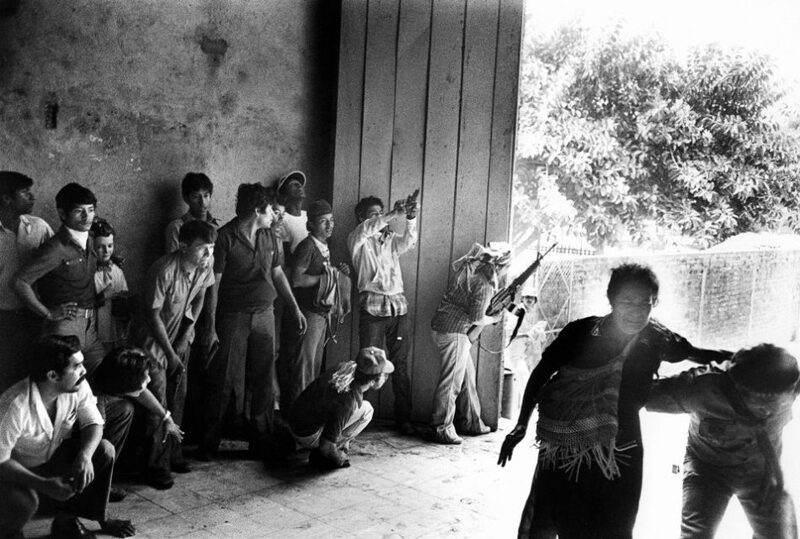 El Salvador, San Salvador, 1980. 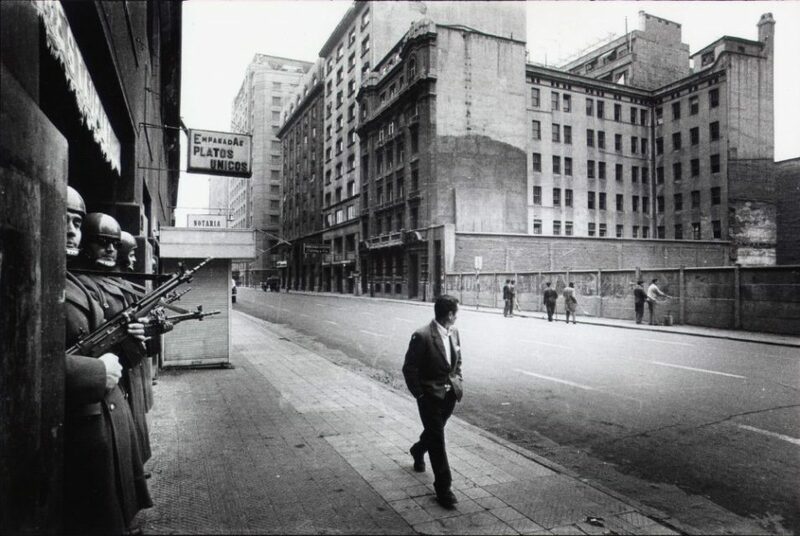 During the funeral of archbishop Romero snipers open fire at the mourning crowd. El Salvador, San Salvador, 1980. Victim of the blood bad. Nicaragua, 1978. 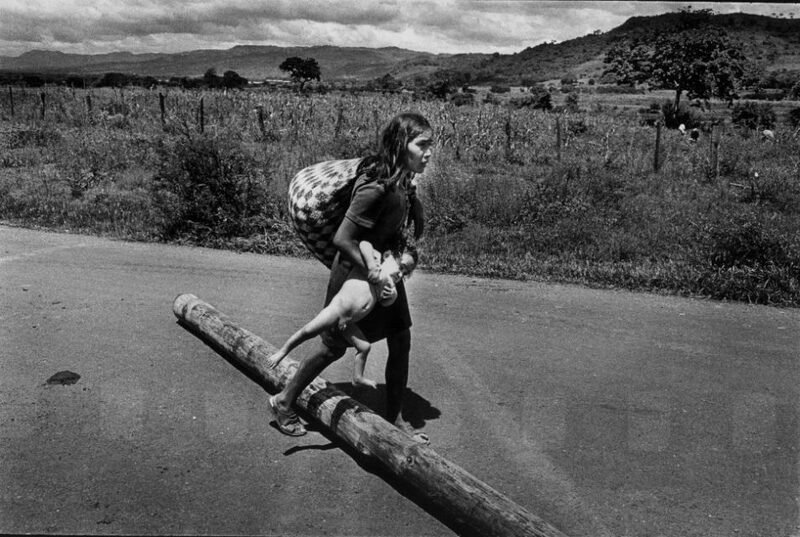 Woman escapes with her child after the Esteli bombardment. With this bombardment, the Somoza gouvernment tried to stop the second-to-last offensive of the Sandists. Nicaragua, Esteli, 1978. Street view with soldiers and nuns. Nicaragua, Esteli, 1978. Mourning women. El Salvador, augustus 1990. 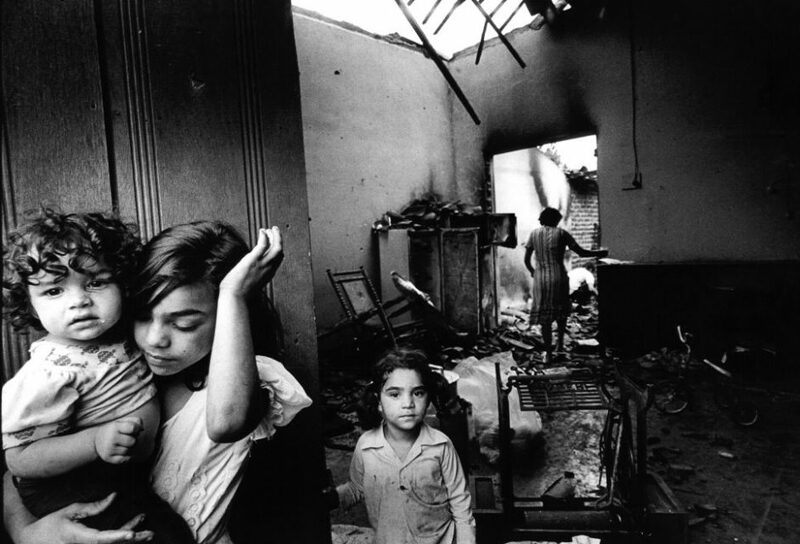 Woman and children in a destroyed house. Documentary Koen Wessing: An interview with Kees Hin on a Sunday afternoon. 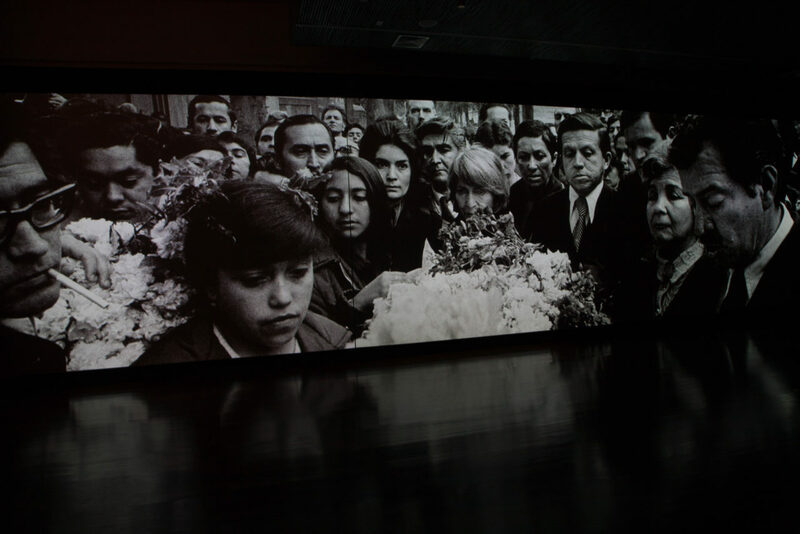 Three-screen projection showing the events around the military coup in 1973 as an audiovisual arrangement. 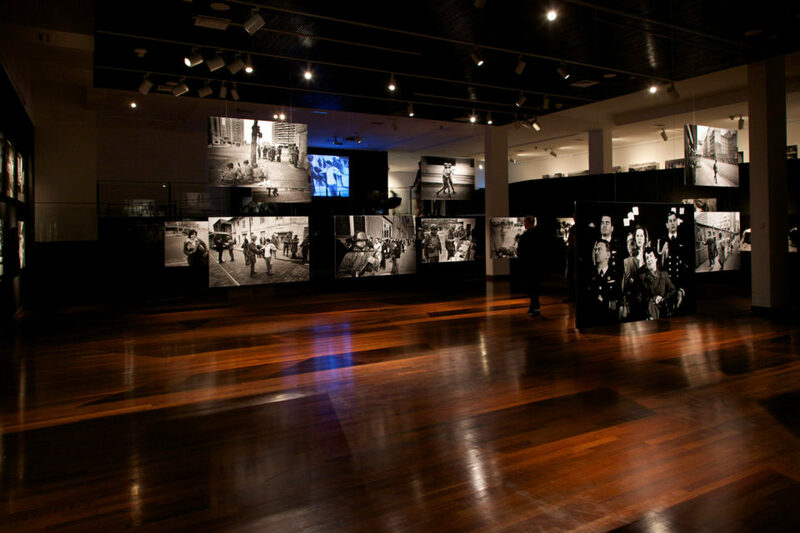 The exhibition consists of 3 major parts. 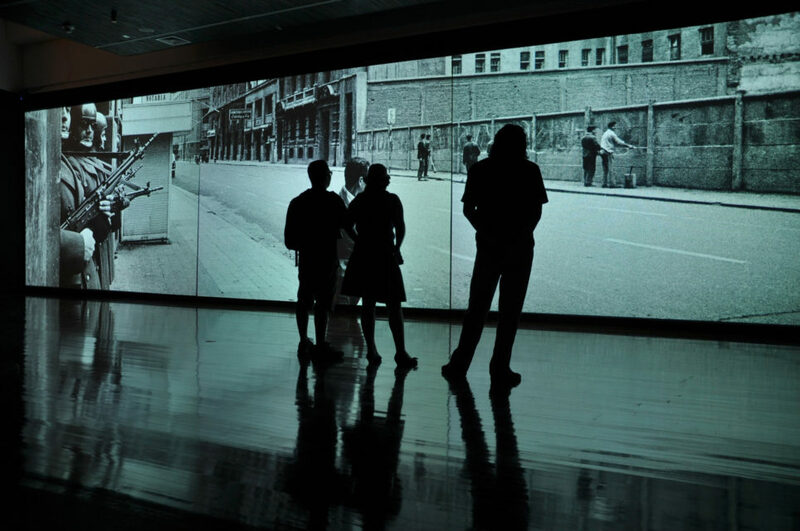 The first part is a three-screen projection showing the events around the military coup in 1973 as an audiovisual arrangement on a 14×3.5 meter screen. 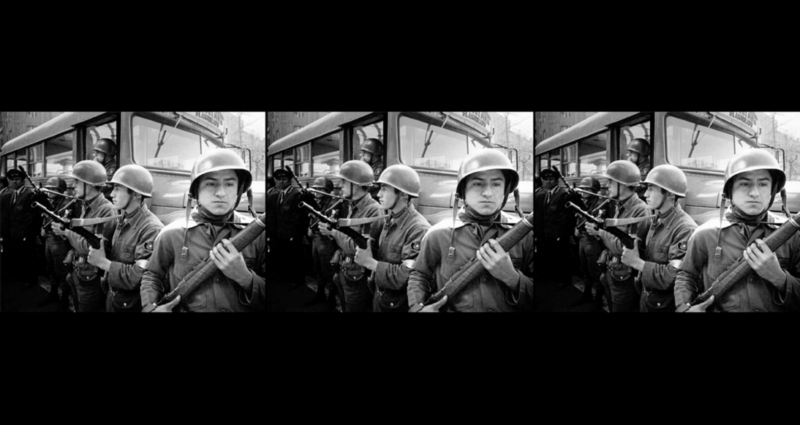 This audiovisual composition is accompanied by the second part – a film produced by Kees Hin, one of the Netherlands most internationally renowned documentary filmmakers. 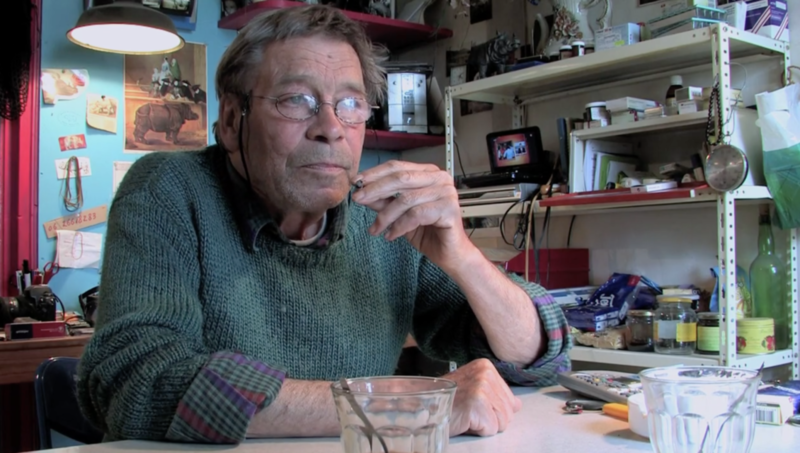 The film consists of an interview with Koen Wessing filmed in 2010 shortly before his death. 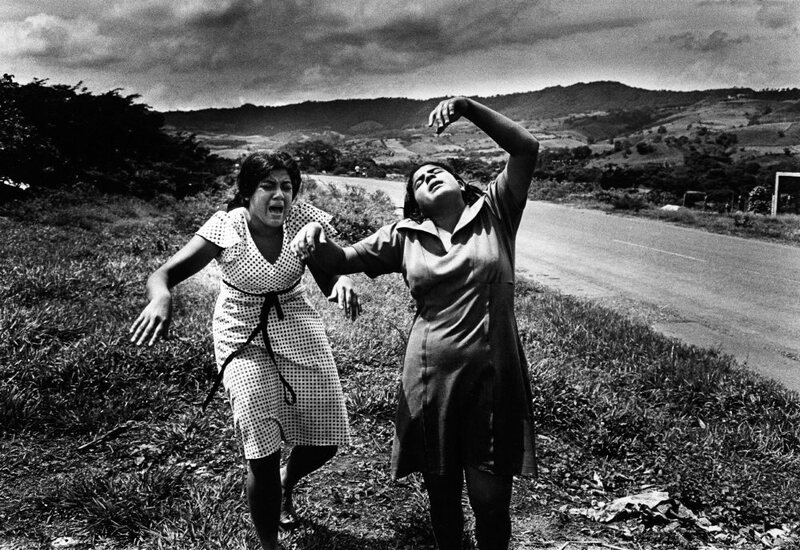 The last part of the exhibition is a collection of prints composed from Wessing’s most important Latin American work in the seventies. Koen Wessing’s Indelible Images comprises an immersive photographic installation of three major parts. 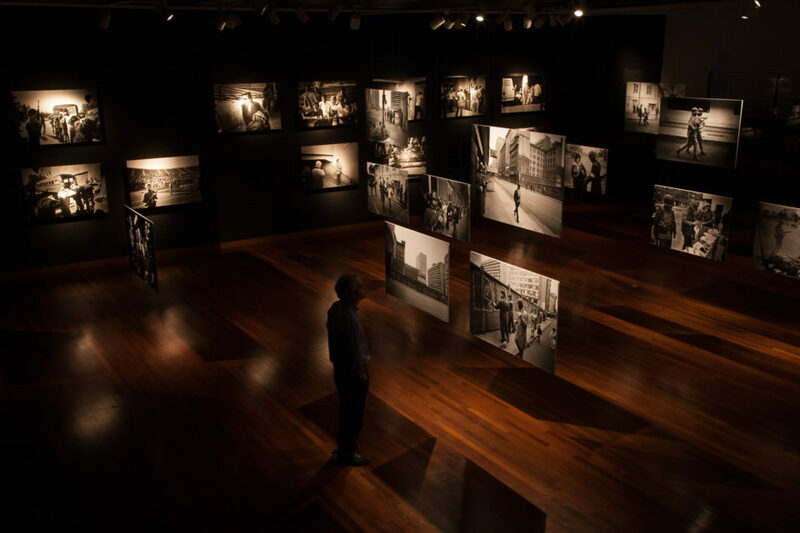 A collection of selected works from Wessing’s Latin America portfolio consisting 76 120×80 cm hand printed black and white photographs mounted on dibond. Sychronized 3 Screen projection with 3 beamers on XGA or SXGA resolution playing from SSD players up to 14 m wide. 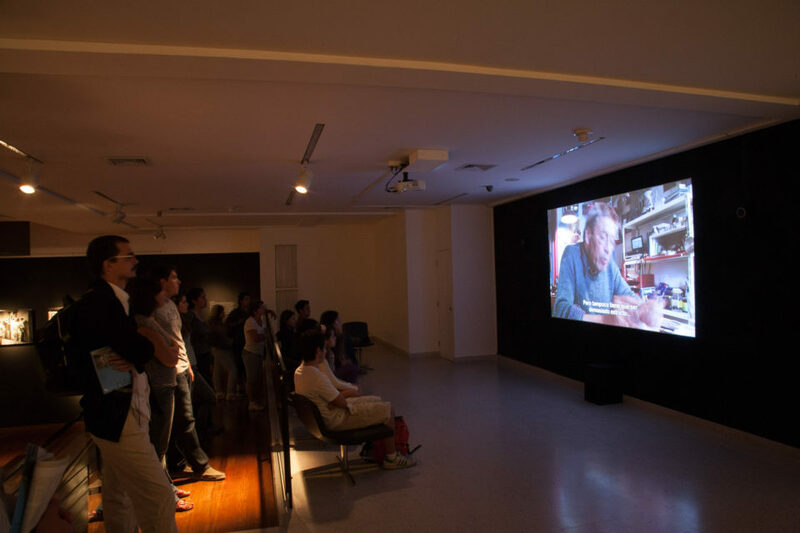 The projection is accompanied by a filmed conversation between Wessing and filmmaker Kees Hin beamed on XGA or HD resolution or played on a >32” monitor. Koen Wessing: An interview with Kees Hin on a Sunday afternoon is a short filmed conversation between Wessing and Hin (one of the Netherlands most internationally renowned documentary filmmakers), shot at Wessing’s place. 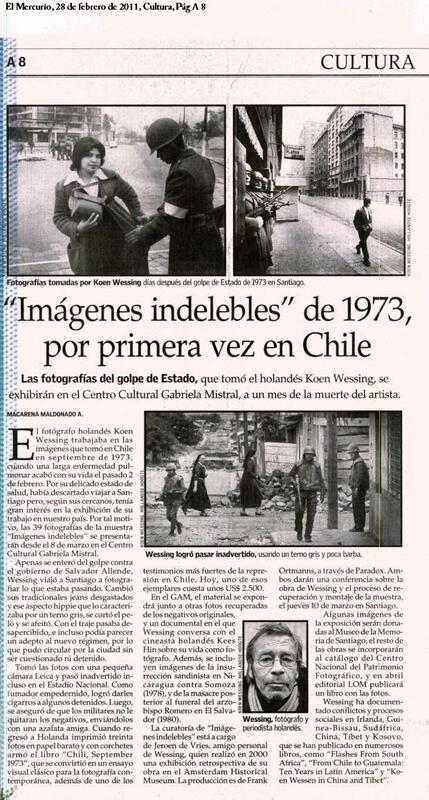 In this interview Wessing speaks about the book Chili, September 1973 and his work that was produced during the time of the military coup. The interview has not been shown before this exhibition and is one of the rare occasions that Koen Wessing actually speaks about his own work. 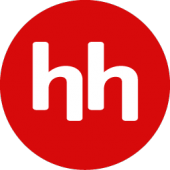 Video, XGA or HD resolution or played on a >32” monitor.